Get Ready for Culinarian’s Day! 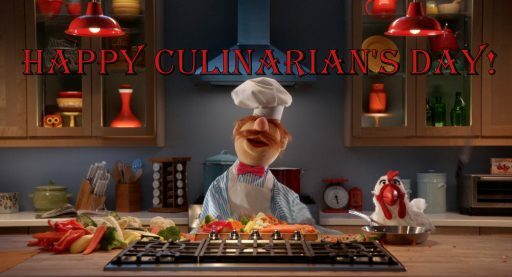 Culinarian’s Day, celebrated annually on July 25 (tomorrow), is a special day for anyone who cooks. You don’t have to be a chef or a graduate of a culinary institute to celebrate this delicious day. You just simply have to cook and enjoy the results. That means every one gets to celebrate! Culinary art is the art of preparing and cooking foods. These eyes were random drops from any breeding in the Horses and K9s between June 1- June 30, 2014. These eyes DO have the ability to pass. Amaretto Breedables offers a reward system called Puppy Paradise. When you send your K9s or Kennels to Puppy Paradise you will receive a number of points based on the number of traits and age for a particular K9 or Kennel. Once you have accumulated enough points, you can use these points to purchase an array of items from the Puppy Paradise Vendor such as Pet Food, Vaccinations and our unique K9 Paradise Puppies. Paradise Puppy – Hot Dog DOES NOT pass their coats. 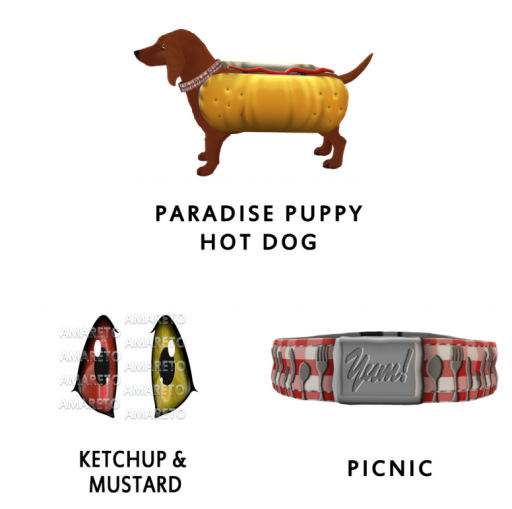 However, the Ketchup & Mustard Eye & the Picnic Collar DO have the ability to pass. So, they can be a great addition to some YUMMY projects! Plus, when you breed a Paradise Puppy (whether it is with another Paradise Puppy or any other K9) you DO have an increased chance at receiving a random Enchanted K9. Now, get into your kitchen and celebrate Culinarian’s Day. Cook up a storm! Oh, and by the way, what time should I arrive to eat!? 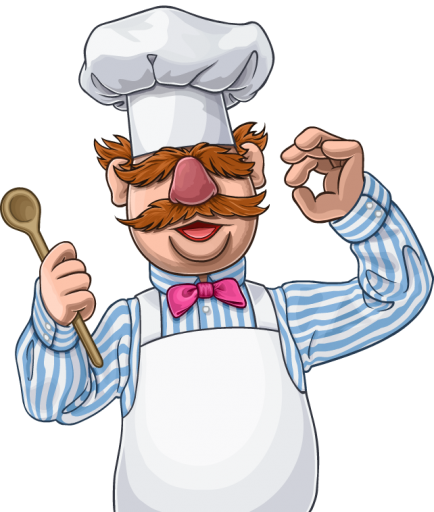 Till next time…HAPPY COOKING AND HAPPY BREEDING!